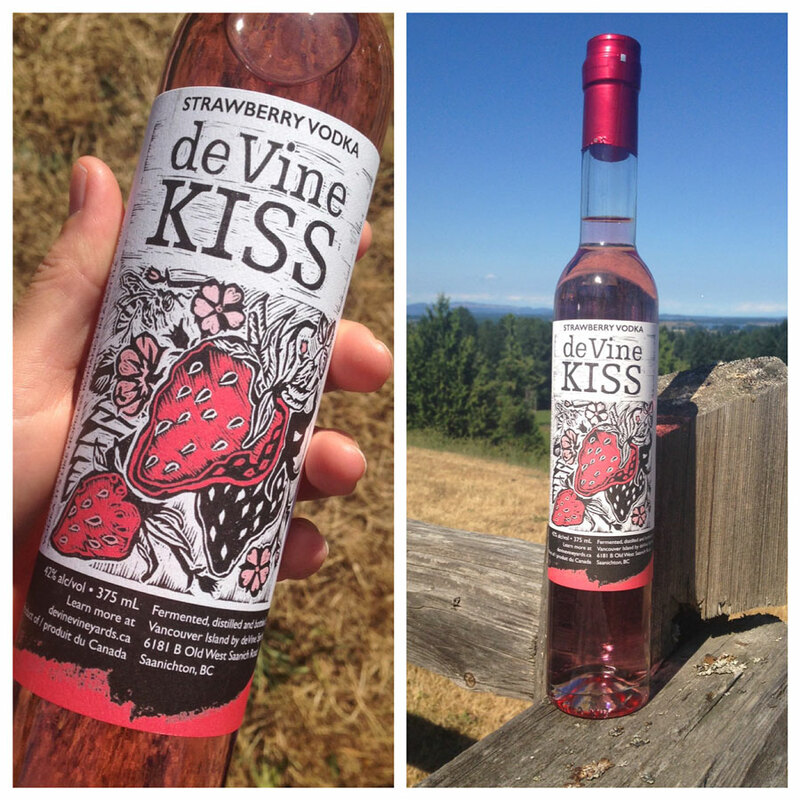 The first of 6 products coming from de Vine Spirits. They wanted a bold and graphic approach to their labels – linocut was the perfect solution. 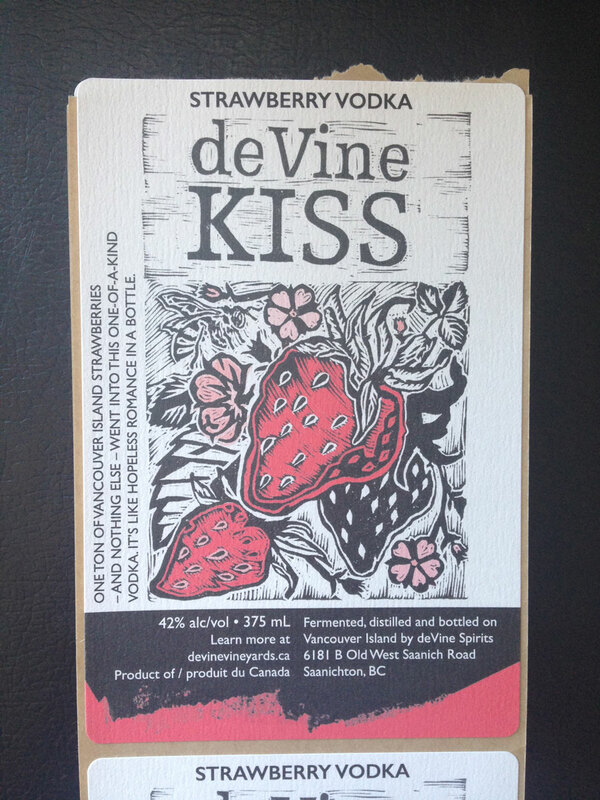 This is the first of the six, a strawberry vodka, made with exclusively local (Saanich, BC.) strawberries. This is one of the two shorter run (seasonal) 375 mL bottles, 4 of the upcoming longer run bottles are 750 mL and involve more elaborate printing techniques; spot glosses, embossing, and t-top bands. Coming up are two gins, a rum, a whisky, and a brandy. All of the upcoming labels use Linocuts and I’m so excited to share them as they complete. They’re nearly ready.